There are ACC “Activities Can Control” and ABC “Activities Beyond Control”. 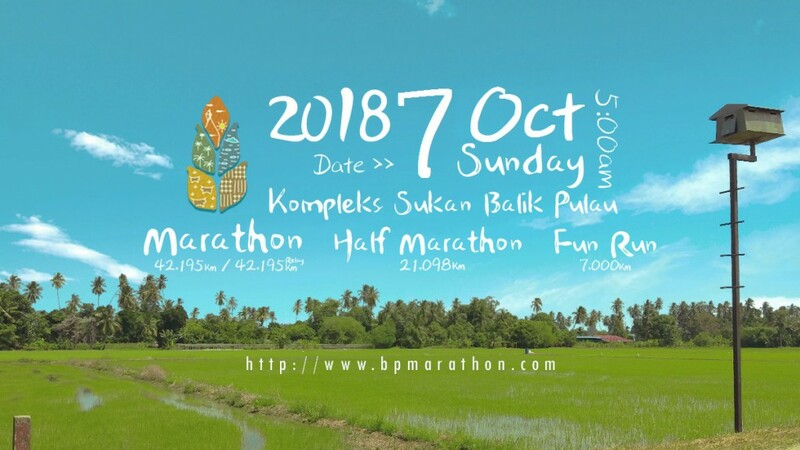 The dream of organising this charming Balik Pulau Marathon is to promote a different dimension of Penang, encouraging active lifestyles and fellowship which are ACC. As usual, after announcing the event date 6 months ago, we have been anticipating lots of interesting obstacles. It’s a marathon race, not an “obstacle” race! The saddest part was expecting the 14th Malaysia General Election (GE14/PRU14) to fall within that period and the race venue is the General Election Counting Centre for Penang Southwest and the route will be the “hot zone” full of campaign flags. Finally, the months of waiting arrived, today the burning question is answered by the Election Committee Chairman that the advance polling on May 5th and polling on May 9th. We shall have a meeting with all relevant departments and police within this week to finalise the outcome. Thanks for your patience and we apologise for any inconvenience caused on having to postpone the event to a later date.